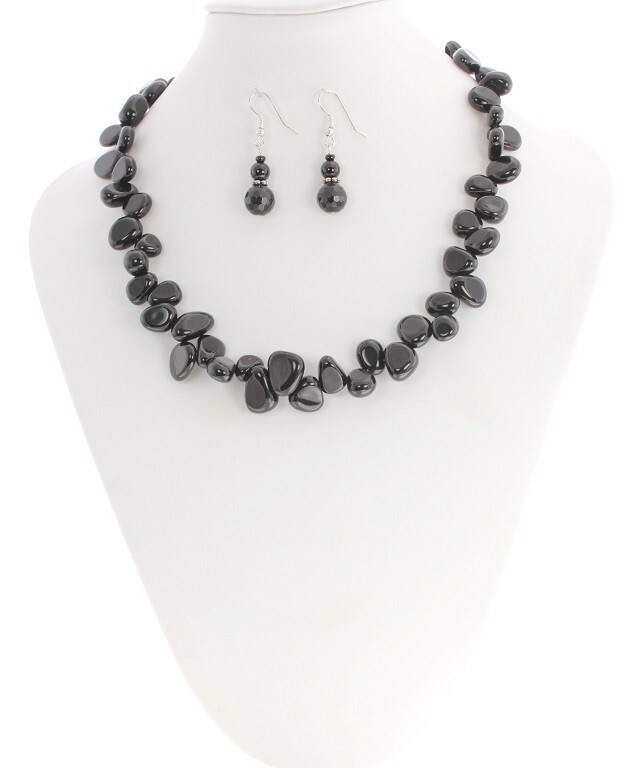 Black Onyx Necklace with stones in beautiful natural petal shapes. All stones with nothing else! Very holistic and simple, yet a striking design.